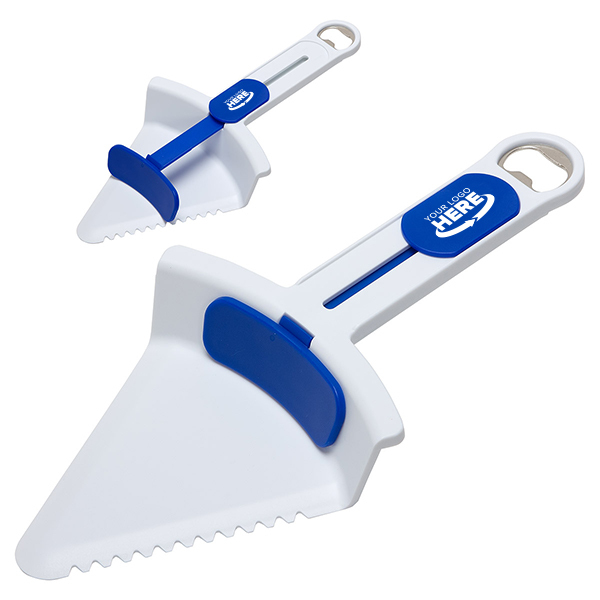 Serrated edge and triangle design lets you scoop your slice simply and safely. Thumb-activated slide mechanism gives you control to smoothly push the dessert off the cutter with no fuss or messy fingers. Bottle opener on handle for added convenience. Constructed of sturdy ABS plastic.